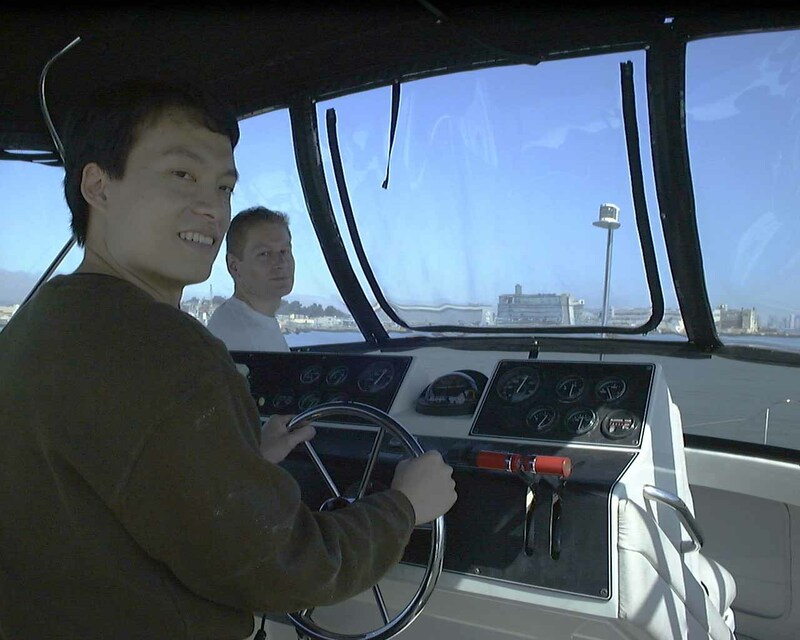 That's me behind the wheel of my buddy's boat. I like Scrabble and boating, and I currently work at TGC (now Google down near Los Angeles! ).